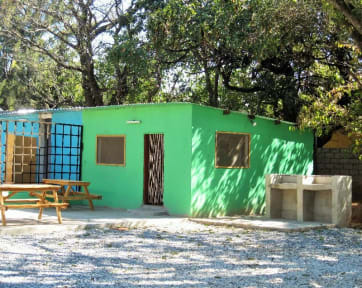 Primarily with dorms and camping this is a perfect location for those of you traveling on a budget, in groups or on your overland trip through Africa. We have designed the camping ground to suit both self drive clients and the those of you with the more 'traditional' tents! 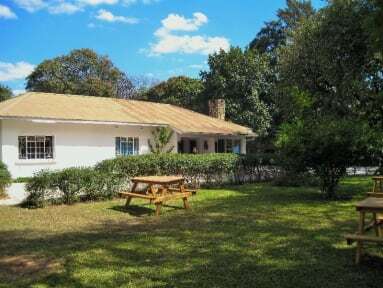 We also have 5 rooms usually occupied by long term guests, who enjoy the peace and quiet of the garden. The large garden has plenty of trees to provide shade for your tents, and for vehicles, each spot has it's own power outlet so you are always near to electricity. There is a large braii area and a fire pit for those chilly nights. A restaurant and bar area reside near to the fire pit for easy access to delicious coffee, hot chocolate or a drink from the bar. Check out before 09:00 . Our reception will be open from 07:00 till 22:00 every night and for those of you coming late there is 24 hr security so you can still access the property.